To say I was skeptical about Lush skincare is an understatement. I tried the old Mask of Magnaminty and didn’t like it. I’ve enjoyed some of Lush’s face masks and hated others. Well, let me say that I was wrong. The newer, self-preserving version of Mask of Magnaminty has quickly become one of my favourite ever masks (be careful as they still sell both versions). I love the smell – kind of mint chocolately – and the consistency. I love that it doesn’t dry so it’s quick, easy and not too harsh to remove. I love the aduki beans which give just the right amount of exfoliation as you wash it off. 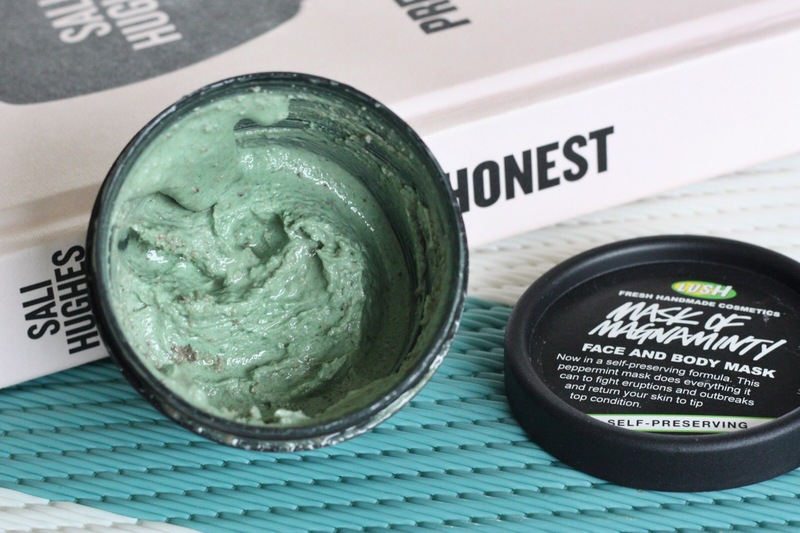 As you might guess from the name, the mask has peppermint oil in it which makes it really refreshing and has a lovely cooling effect on the skin. 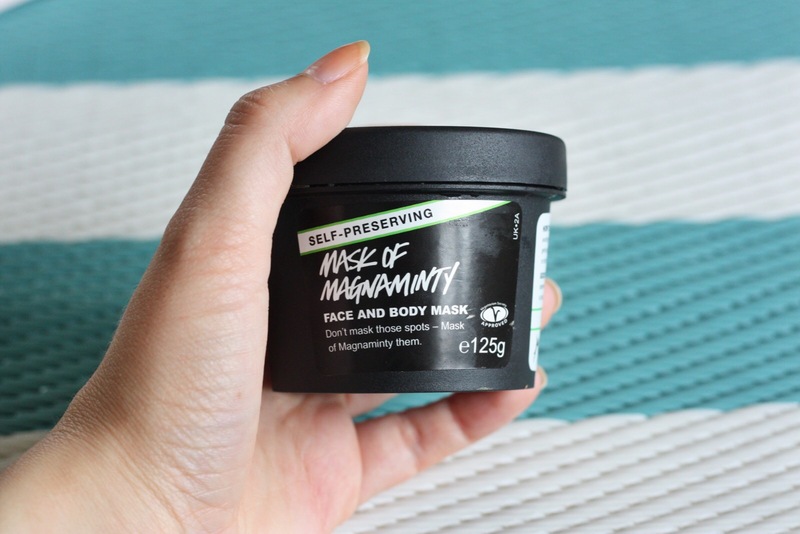 After using Mask of Magnaminty my skin feels really soft and balanced (probably thanks to the kaolin clay). It seems to have a calming effect when my skin is angry, which is why I reach for it twice weekly. This isn’t one of Lush’s fresh face masks, so you don’t have to keep it in the fridge and you’ll find it with their facial skin care rather than with the other masks. 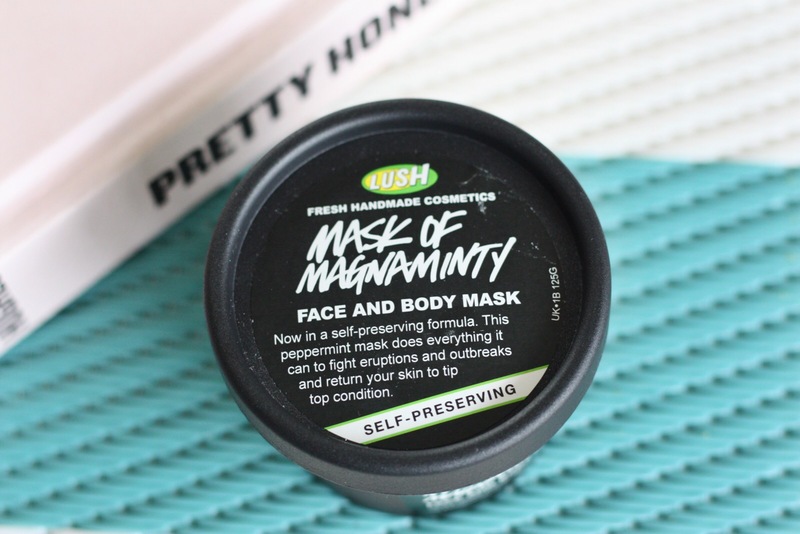 I got Mask of Magnaminty free at the Lush Nottingham event, and I was actually a bit disappointed because I knew I didn’t like the other version. But I will definitely be buying this again when it runs out – which at this rate will be very soon!